Click the blue Day of Giving button to give! *Note: the link is not live yet! If you still wish to donate, visit the page again on May 10th or call the box office at 574-267-8041. When you give monthly, your dollar goes further, your impact becomes greater, and our mission can grow. Monthly Partners are a new and special group of the Wagon Wheel’s most passionate and forward-thinking supporters – like you! Giving monthly is the best way to make an ongoing commitment to Wagon Wheel, allowing you to plan your annual giving while also keeping Wagon Wheel’s administrative expenses lower so that more of your donation goes directly to building our programs and performances. You can see your monthly donation to Wagon Wheel in action all year round. From the costuming in a Wagon Wheel Jr. or Center Street Community Theatre show to the talent hired every summer for our main stage production or Symphony of the Lakes concert- your monthly donation provides for the ongoing creation of in-the-round magic at the Wagon Wheel. Hassle-free monthly donations through an automatic and secure credit card payment. An annual statement provided for tax purposes in January. The knowledge that your donation is put to work immediately on the next show or performance at the Wagon Wheel. Being a part of a community of theater and Performing Art lovers that help write the future story of the Wagon Wheel. Simply click the blue Monthly Giving button on this page and complete the secure donation form. You can also call the box office to set up your monthly gift over the phone. Call 574-267-8041 for assistance. Even a small amount of $20 a month adds up and can create a huge impact in Wagon Wheel’s ability to share and create stories that leave audiences with a sense of joy. Join your neighbors and fellow Wagon Wheel lovers today by becoming a Monthly Partner. Click the blue Monthly Giving button to donate. What’s Your Wagon Wheel Story? and impact more lives through the magic of live theatre & the Performing Arts. What is your Wagon Wheel Story? Perhaps it is sharing your child or grandchild’s first experience of the magic of live theatre. It might be the tears you shed over the sound of a parent’s favorite musical or symphony performance. It might be the pride of watching our young professionals and our youth grow in confidence and skill over the seasons. Or maybe one of our concerts lifted your spirits when you needed it most. Whatever your story, it was only made possible through donations by individuals like you. Together, your support will make the magic of live theatre possible for another season and will ensure another year of storytelling at the Wagon Wheel. Like most nonprofit theatres, ticket sales only cover about 60% – 70% of our total budget and we rely on donations by individuals like you to help make our mission possible – especially because we are committed to keeping ticket prices and program fees affordable. We can’t do it without you! Produce Broadway-quality entertainment to over 50,000 patrons a year and help us continue to hire some of the best and brightest stars for our summer season. 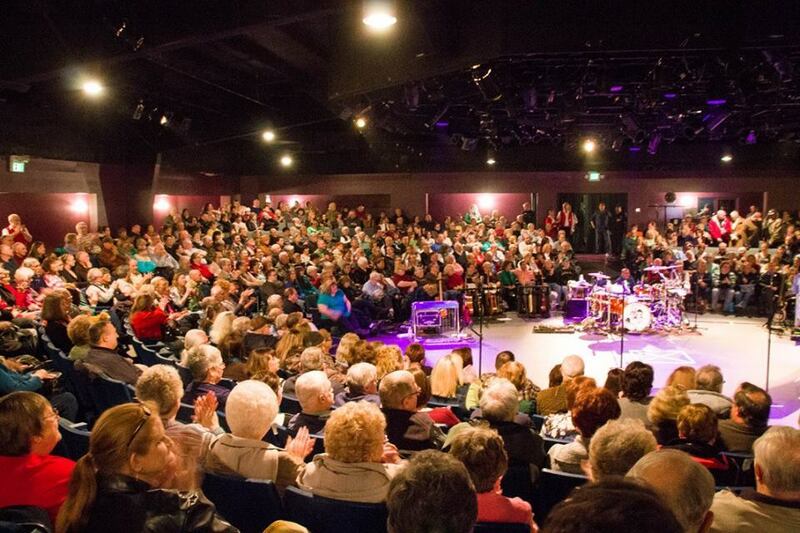 Foster social connections and vibrant community culture in Warsaw, IN through events like our Center Street Community Theatre productions and free Symphony of the Lakes Independence Day Concert. Offer free or low-cost educational programs as a part of our Wagon Wheel Jr. and Field Trip programs to over 6,000 students in our community. Give today and play a part in writing the future stories of the Wagon Wheel. Click the blue Donate button to give and help tell your Wagon Wheel story! Go to www.kroger.com to enroll in Kroger Rewards Program. Select Wagon Wheel Center for the Arts for your organization. Our organization number through the Rewards Program is IH696. Each time you shop at Kroger or Owens and use your rewards card, a percentage of your shopping will go to the Wagon Wheel! Support the Wagon Wheel as you shop online! Visit www.smile.amazon.com and search for the Wagon Wheel Theatre. Shop online through Amazon Smile and a portion of each purchase you make will go to the Wagon Wheel.